"One more dawn! One more day! One day more!" Did Les Misérables make you miserable? Or did it inspire you? When Sarah Whitfield was a teenager, her Dad frequently embarrassed her with his love of this musical above all others. So, after he was diagnosed with late stage cancer, Whitfield set out to find out why this musical meant so much to him and to its worldwide following. In this new book, she asked her Dad and 350 other people how they felt about this musical, exploring people’s personal connections with the show. In the middle of some of the hardest moments in family life, Whitfield explores how the musical might help us deal with some of our most difficult experiences and give us hope for when ‘tomorrow comes’. 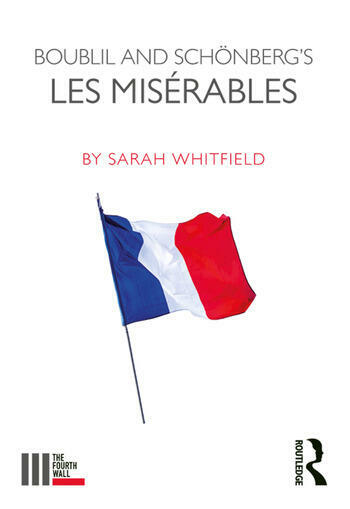 Sarah Whitfield is Senior Lecturer in Musical Theatre at the University of Wolverhampton, as well as a dramaturg, director and researcher in the history of musical theatre.